For the Glory of the Trinity, Help Us Build IHM Chapel! 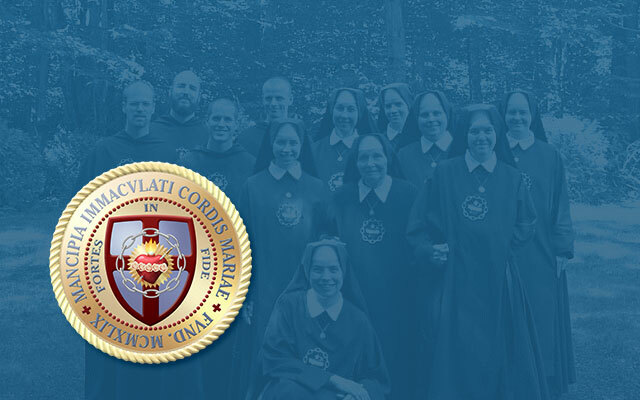 In Richmond, New Hampshire, the Slaves of the Immaculate Heart of Mary carry out a multifaceted apostolate at Saint Benedict Center, with its monastery, convent, chapel, and school. In our chapel, only the traditional rites of the Roman Church are offered. The community’s liturgical life is vibrant. The present Immaculate Heart of Mary Chapel is too small to accommodate our expanding numbers. The brothers and sisters have been working with excellent architects and engineers to design a proper sanctuary for Our Lady’s Heart — one that can accommodate more than two hundred worshippers. A respected New England contractor has given us a price tag of $750,000 for it. We need your support to build this new chapel. Please donate generously to the “Saint Benedict Center Chapel Fund” today. The need is urgent.